Need to feed a crowd, or just want to stock your fridge with smart dishes you can feast on all week long? These recipes are ready for you! This super-savory, slightly spicy, mega-delicious vegetarian chili will warm you up on a chilly night! In a slow cooker, combine crushed tomatoes, pumpkin, garlic, and spices. Mix well. Add all remaining ingredients, and thoroughly stir. 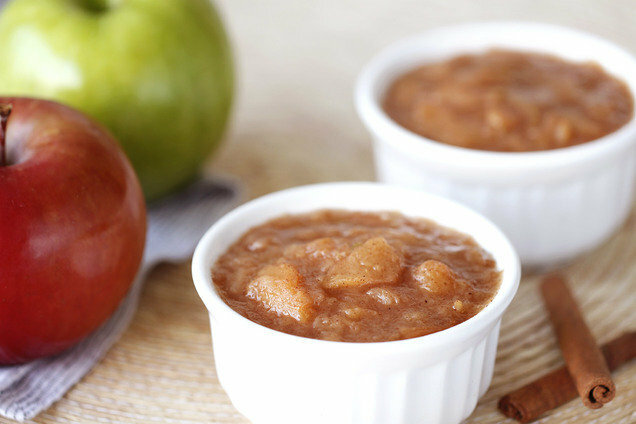 What's more comforting than a big pot of homemade applesauce? This fruity side dish has the perfect balance of sweet and tart, thanks to a mix of Fujis and Granny Smith apples! Place apples in a slow cooker sprayed with nonstick spray. In a medium bowl, combine cornstarch with 3/4 cup water. Whisk to dissolve. Add all remaining ingredients. Whisk well. Pour cornstarch mixture over apples, and stir to coat. Cover and cook on high for 2 1/2 hours, or until apples have completely softened and liquid has thickened. 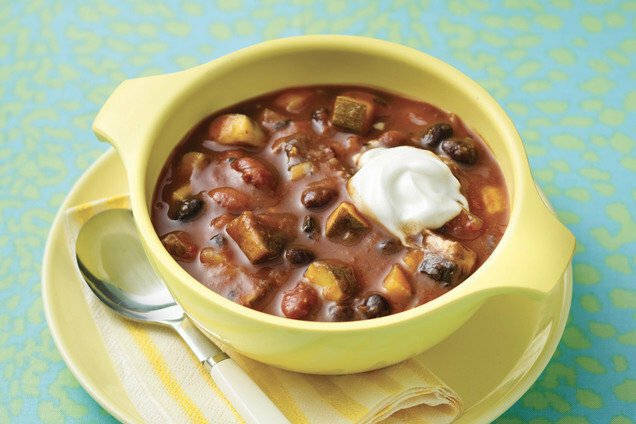 Hungry for More Healthy Slow-Cooker Recipes? Oooh, December 8th is National Brownie Day. How about some Candy Cane Brownies for the occasion? Keep passing the dish... Click "Send to a Friend" now!